The Australian Government have introduced a draft Bill [The Assistance and Access Bill 2018] designed to compel device manufacturers and service providers to assist law enforcement in accessing encrypted information. 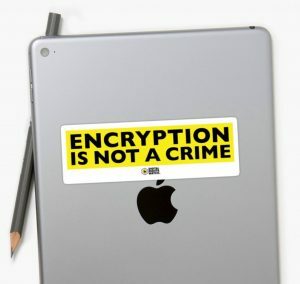 Although apparently developed to allow government agencies access to criminals’ encrypted communications, the Bill also grants broad, sweeping powers to government agencies that will harm the security and stability of our communications and the internet at large. The government asked the public for feedback, with submissions closing on September 10, 2018. But they then immediately introduced it to Parliament, where it currently is sitting before an inquiry. Allows government operatives to access more data through current warrants. You can read the full detail of our concerns in our submission to the government. The Government have jumped the gun, and introduced the Bill into Parliament with only minor amendments from the initial draft. They clearly haven’t even bothered to read the many concerns that have been raised by people like you. The Bill is before the Parliamentary Joint Committee on Intelligence and Security, who will be looking at it in detail over the coming weeks. This is our opportunity to make it clear to our MPs that we do not support this attempt to break encryption and violate our privacy. We need the Labor opposition to stop this Bill becoming law. Can you take 5 minutes to call your Labor MP now? We’ve put together a few points on how to talk to your Labor MP – what they need to hear, and how to report back to us once you’re done. It’s a few minutes out of your day that can have a huge impact. There's not currently a Labor MP from your state who sits on that committee, but you can still make your voice heard! - If you're using your mobile call, put it on speaker so you can still read this. - Make sure you start by introducing yourself, and tell them which suburb you live in as well what issue you're calling to discuss. - You will probably be talking to someone in their staff. Be kind and respectful but tell them exactly how you feel. "Hello, my name is _____ and I live in _____. I'm calling to discuss the Telecommunications and Other Legislation Amendment (Assistance and Access) Bill 2018, which is currently being reviewed by the Parliamentary Joint Committee on Intelligence and Security. I understand that _____ (MP/Senator's name) is a member of that committee, and so I wanted to outline my concerns with this Bill. Human rights experts, social media giants, technology and security specialists and more than 15,000 people have expressed their concerns over this Bill. The government has failed to listen to any of this advice, and seem intent on instead ramming it through Parliament. I am therefore calling on you - the Labor opposition - to oppose the Bill. The Bill would harm cybersecurity, would lead to an increase in government hacking, would create backdoors into end-to-end encryption and is fundamentally a huge overreach into the workings of our digital world and our human rights. Please pass on to the MP/Senator that I hope they work within the committee to ensure that this Bill does not become law." Let us know if you've made a call! Did the person you spoke to tell you anything about their MP/Senator's stance on the issue?